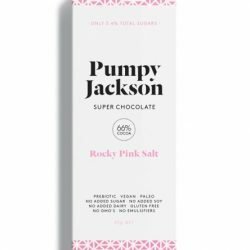 This creamy chocolate is made using 100% natural ingredients: Pumpy Jackson has only 3.4% naturally occurring sugars, most of which comes from the Almonds. 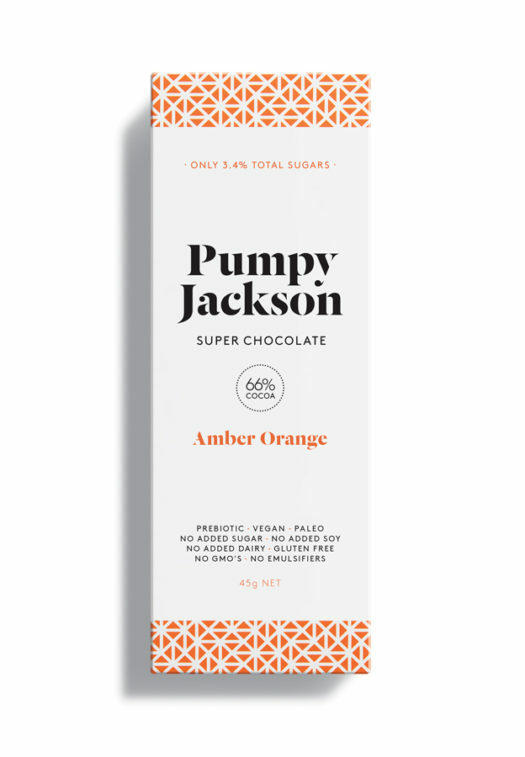 That’s 91% less sugar than equivalent dark chocolates sweetened with sugar cane, agave, maple or coconut nectar. 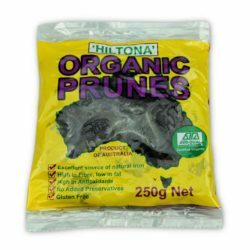 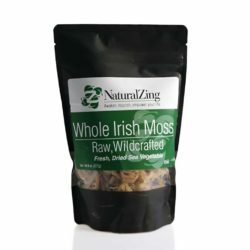 Ingredients: Cocoa Mass, organic coconut milk powder, cocoa butter, Chicory Root (inulin prebiotic fibre), almond milk powder, monk fruit, organic chia, tapioca, orange oil (0.3%), natural vanilla.